By now it’s likely you’ve heard of Solid State Drives, or SSDs as a blazing fast storage drive to speed up old computers, or provide reliable uptime compared to their replacement, Hard Drives, or HDDs. But there are countless options available, so what is the best drive? There are several connector types that SSDs use to interface with a computer, including SATA, PCIe, M.2, U.2, mSATA, SATA Express, and even none, as some SSDs now come soldered to the board. 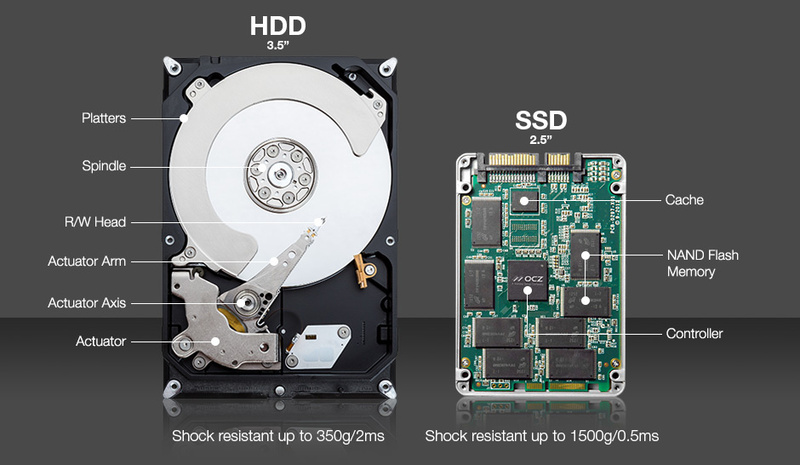 For a consumer, the most common options are SATA and M.2. SATA is known as the old two-connector system that hard drives used, including a SATA Power and SATA data cable. SATA-based SSDs are best for older computers that lack newer SSD connector types and have only SATA connections. A great way to boost the speed of an older computer with a spinning hard drive is to clone the drive to an SSD, and replace the Hard Drive with an SSD, increasing the computer’s ability to read/write data, possibly by tenfold. However it should be noted that these SATA drives are capped at a maximum theoretical transfer speed of 600MB/s, whereas other un-bottlenecked SSDs have recently exceeded 3GB/s, nearly five times the SATA maximum. This means SATA-based SSDs cannot utilize the speed and efficiency of newer controllers such as NVMe. NVMe, or Non-Volatile Memory Express, is a new controller used to replace AHCI, or Advance Host Controller Interface. AHCI is the controller that Hard Drives traditionally use to interface between the SATA bus of a Hard Drive and the computer it is connected to. AHCI as a controller also provides a bottleneck to SSDs in the form of latency the same way the SATA bus provides a bandwidth bottleneck to an SSD. The AHCI controller was never intended for use with SSDs, where the NVMe controller was built specifically with SSDs only in mind. NVMe promises lower latency by operating with higher efficiency, working with Solid State’s parallelization abilities by being able to run more than two thousand times more commands to or from the drive than compared to a drive on the AHCI controller. To get the optimal performance out of an NVMe drive, make sure it uses PCIe (Peripheral Component Interconnect Express) as a bus which alleviates all the bottlenecks that would come with using SATA as a bus. If the latest and greatest speeds and efficiencies that come with an NVMe SSD is a must have, then there’s a couple things to keep in mind. First, make sure the computer receiving the drive has the M.2 connector type for that type of drive. Most consumer NVMe drives only support the M.2 “M” key (5 pins), which is the M.2 physical edge connector. 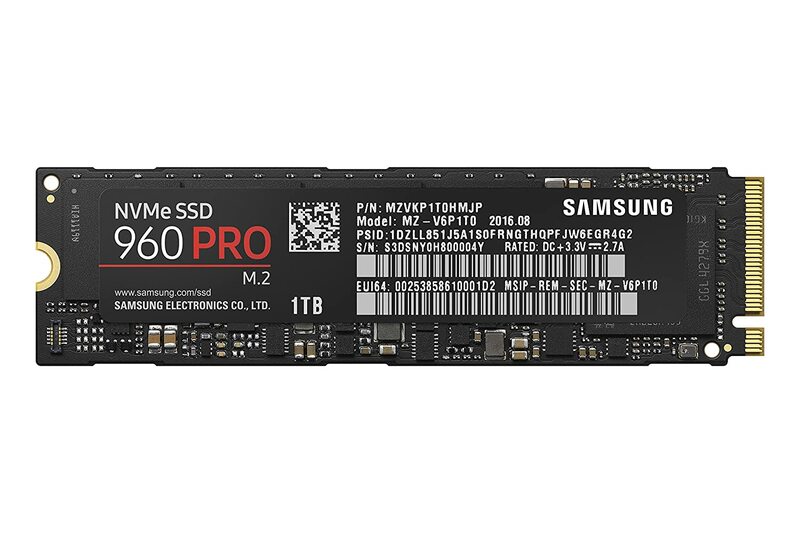 SATA based SSDs use the “B” key (6 pins) but there are some connectors that feature “B + M” which can accept both a SATA and NVMe drive. Second, the computer needs to be compatible with supporting and booting to an NVMe drive. Many older computers and operating systems may not support booting to or even recognize an NVMe drive due to how new it is. Third, expect to pay a premium. The PCIe NVMe drives are the newest and greatest of the SSD consumer market, so cutting edge is top price. And finally, make sure an NVMe drive fits the usage case scenario. The performance improvement will only be seen with large read/writes to and from the drive or large amounts of small read/writes. Computers will boot faster, files will transfer and search faster, programs will boot faster, but it won’t make a Facebook page load any faster. In conclusion, SSDs are quickly becoming ubiquitous in the computing world and for good reason. Their prices are plummeting, their speeds are unmatched, they’re smaller fitting into thinner systems, and they’re far less likely to fail, especially after a drop or shake of the device. If you have an old computer with slow loading times in need of a performance boost, a great speed-augmenting solution is to buy a SATA SSD. But if being cutting edge and speed is what is what you’re looking for, nothing that beats a PCIe NVMe M.2 drive. This entry was posted in Operating System and tagged hard drive, HDD, Solid State Drive, SSD on February 23, 2018 by thampson. What Is Your Hard Drive? One of the key pieces of hardware inside your computer is the hard drive. You may have also heard it called the hard disk or sometimes (incorrectly), the memory. If you imagine your computer as a human body, your hard drive could be described as the long-term memory of the body. It is where data gets permanently stored for later use. There are two types of hard drives that you will see frequently, standard hard drives (HDD) and solid state drives (SSD). The traditional hard drive is much more common and uses a magnetic arm to write data along a series of spinning disks. Solid-state drives use a series of interconnected flash memory chips to store data. We will get into why you would chose one over the other later in this article. Why Would You Replace It? Your (standard) hard drive is one of the few moving parts inside your computer (the others usually being your cooling fans and your CD drive). Because of this, standard hard drives are often one of the first parts to fail in a computer, and tend to do so after 3-5 years. Oftentimes computer issues such as slowness or failure to boot are caused by an older hard drive beginning to fail. What Replacement Hard Drive Should I Buy? The Hard Drive that you should buy to replace your failing one depends on the way you use your computer. There are several factors to take into account. The first important factor is size. Ask yourself: how much space do you use on your hard drive? Though HDDs range from just a few gigabytes to several terabytes (1 TB = 1024 GB), the most common sizes currently are 500GB and 1TB. If you use your computer to simply browse the Internet and do basic schoolwork, 500GB will be more than enough for you. However, if you use your computer to store large amounts of media files, or if you play many video games, you should buy a 1TB hard drive. The second question that you should ask yourself is whether you want an SSD or an HDD. SSDs offer many distinct advantages over a traditional hard drive. They are significantly faster, and tend to be more durable than traditional drives, as they have no moving parts. Replacing a traditional hard drive with an SSD is one of the simplest ways to speed up your computer. Unfortunately SSDs are much more expensive than HDDs for the same amount of space. A 500GB HDD often costs close to the price of a 128GB SSD. One way to overcome the cost issue presented by SSDs is to install more than one hard drive. In many cases, it makes sense to install a small SSD, which would host your operating system and your most frequently used programs, and to use an HDD for most of your data and media. On Windows PCs, especially desktops, hard Drives are often relatively simple to replace. Guides can be found on Youtube, as well as at https://www.ifixit.com/Device/PC . Alternatively, you can come to the IT User Services Help Center, located in the LGRC low rise. We can take a hard drive you bring us (or we can sell you one of our own), and we can replace it for a small service fee (usually about $50). This entry was posted in Hardware, Operating System and tagged hard drive, HDD, memory, SSD on August 26, 2015 by atikhomirov. Ever since the era of XBox 360s, PS3s, and the new consoles just recently released, how we play games (and store them) has been revolutionized. The consoles of today have internal storage, usually hundreds of gigabytes, similar to how a computer handles storage. By looking at a handful of the popular consoles, starting with the fourth generation, we’re going to see how technology has changed over the years – how we’ve built bigger and bigger pieces of software, and more and more efficient storage technologies. This entry was posted in Hardware and tagged cartridge, consoles, games, gaming, hard drive, memory, storage on February 10, 2014 by Ash.